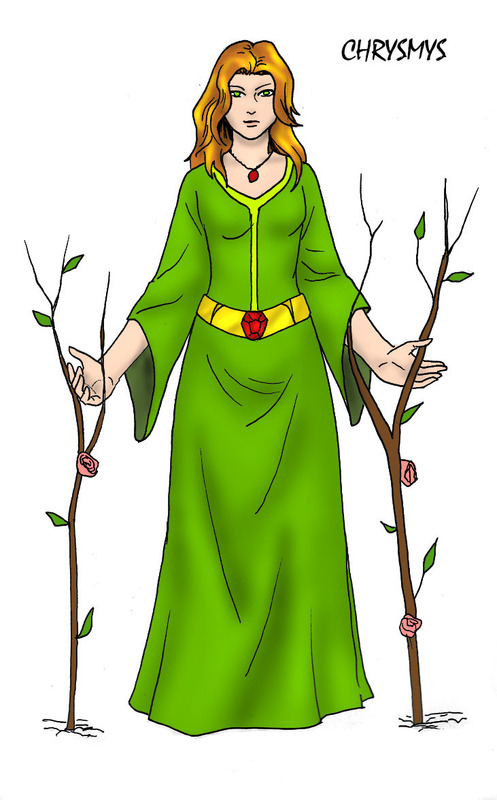 Description: Chrysmys is the eldest princess and has emerald eyes with golden strands amonst her light brown hair. She loves to wear green and her little sister Tahmi. Important to the story because: She proves that not all Gadaenites have to be selfish.